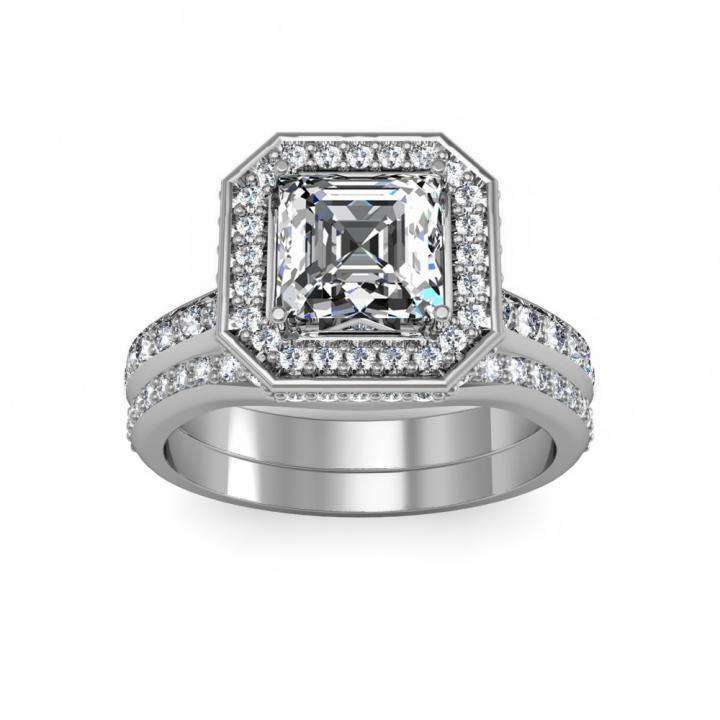 Precious metal and round channel set diamonds form this engagement ring that's ready to be set with your chosen center diamond and accented with 1.10cttw diamonds in a square halo setting. 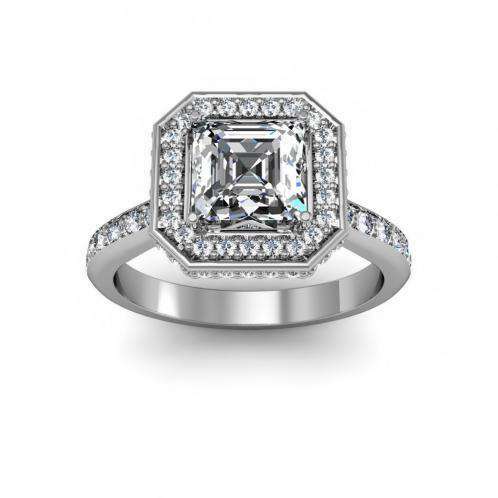 This pristine setting is designed to hold a princess cut or asscher cut center stone. Getting the right unique diamond engagement rings style for your special someone can be a challenge, but DiamondMansion.com's incredible collection of brilliant settings and 100% natural, untreated diamonds makes it easy to create the perfect ring!